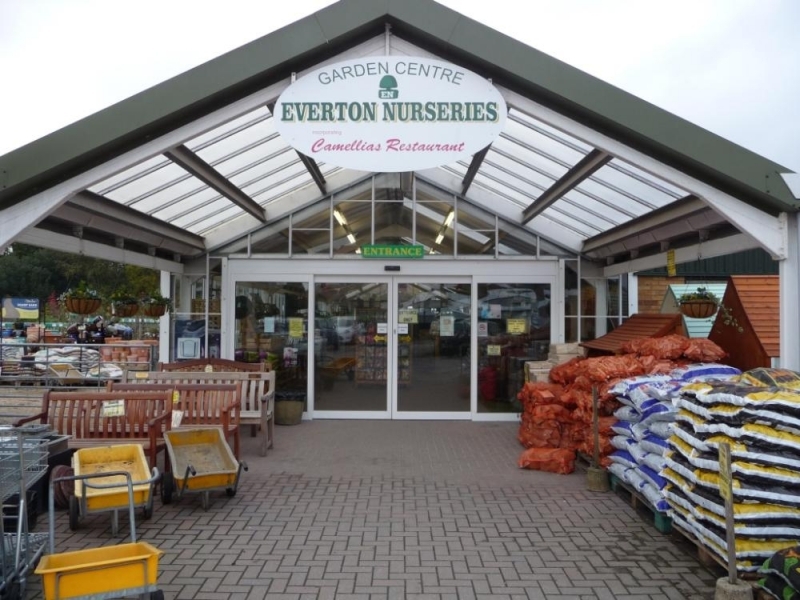 Everton Nurseries was started in 1922 by Mr C G Collyer and grew over the years to some 25 acres, producing a wide range of Trees, Shrubs, Fruit Trees, Conifers, Roses and Herbaceous Perennials, for retail and trade sales. The business is still owned and run by the Collyer family. The garden centre was opened in 1985. Following a substantial re-fit and expansion in 2006, Camellias Coffee Shop and Restaurant was opened. Nowadays a wide range of plants is still grown on the nursery, and around three quarters of the hardy plants sold in the garden centre are ‘home produced. Stock is also supplied wholesale to other nurseries, garden centres and landscape contractors across the south of England.